Daniel Lee KleinmanProfessor of Rural Sociology, University of Wisconsin - Madison Co-Sponsored by the University of Michigan School of Natural Resources and Environment 4:00-5:30pm in the Betty Ford Classroom (1110 Weill Hall) at the Gerald R. Ford School of Public Policy. Susan CozzensProfessor of Public Policy, Director of the Technology Policy and Assessment Center, and Associate Dean for Research of the Ivan Allen College Georgia Institute of Technology Commentator: Ted London, Senior Research Fellow, The William Davidson Institute, and Director, Base of the Pyramid Initiative, University of Michigan Co-Sponsored by the University of Michigan International Policy Center, Gerald R. Ford School of Public Policy 4:00-5:30pm in the Betty Ford Classroom (1110 Weill Hall) at the Gerald R. Ford School of Public Policy. Naomi OreskesProfessor of History and Science Studies at the University of California, San Diego Co-Sponsored by the University of Michigan Science, Technology & Society Program and School of Natural Resources and Environment 4:00-5:30pm in the Betty Ford Classroom (1110 Weill Hall) at the Gerald R. Ford School of Public Policy. Peggy McIntosh , Senior Research Scientist and Associate Director, Wellesley Centers for Women. 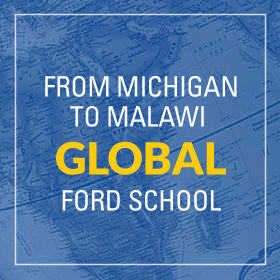 Attendance at this event is limited to the Ford School community. 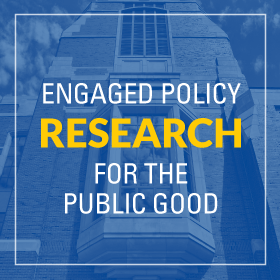 For more information, please contact Tresa Kappil: tkappil@umich.edu . Brought to you by Students of Color in Public Policy (SCPP) & Ford School Student Affairs Committee (SAC).